I support Chairwoman Nelson’s proposal to increase the school homestead exemption, which was the centerpiece of the property tax reduction plan I rolled out last June. Raising the exemption is the best way to provide every homeowner a break and this proposal, which is similar to my SB 278, ensures the tax break will keep pace as home values rise. 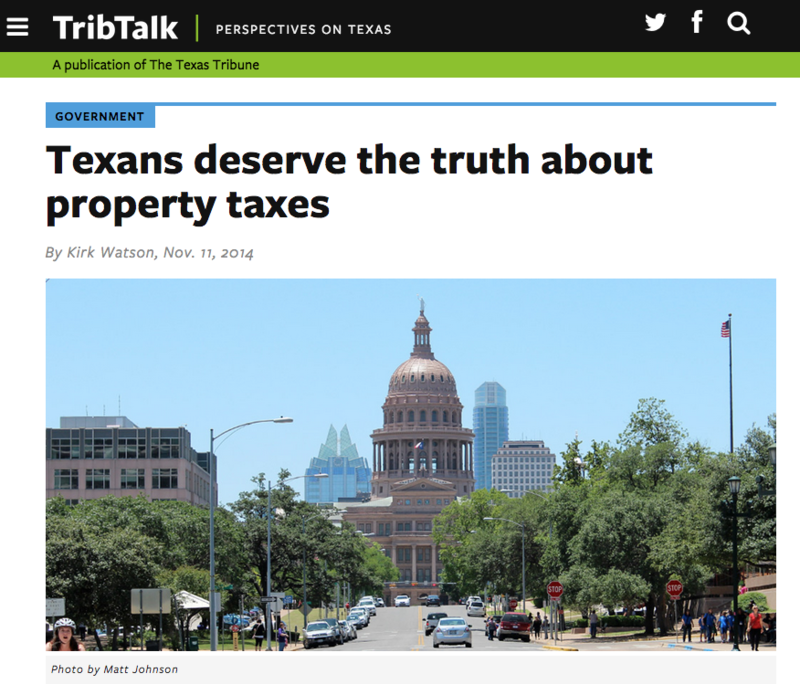 It also reduces the reliance on local property taxes to fund the state’s school system. I take satisfaction knowing that the foundation of the Senate’s multi-billion dollar tax package is a progressive idea that will help folks who need it most. And I’m proud that my efforts have helped get us to the point of providing homeowners a meaningful property tax break. But given the incredible needs of this state, I can’t get behind cutting the franchise tax. The Legislature restructured the franchise tax in 2006 in the wake of a Texas Supreme Court finding that the state’s school finance system was unconstitutional. Almost a decade later, we are once again waiting for the Supreme Court to tell us what to do. It would be irresponsible to cut off an important stream of revenue before we know what the Legislature’s obligations will be to fulfill its constitutional responsibility to Texas schoolchildren.